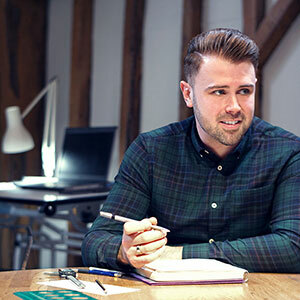 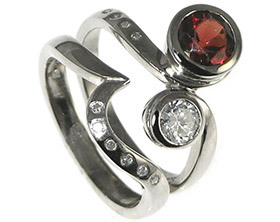 Benjamin and Karin came into the Cambridge studio to design a unique engagement ring. 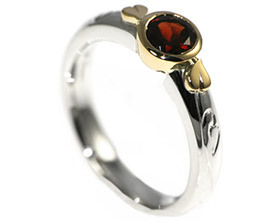 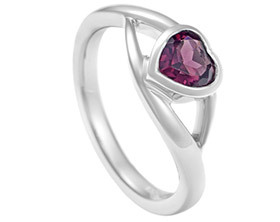 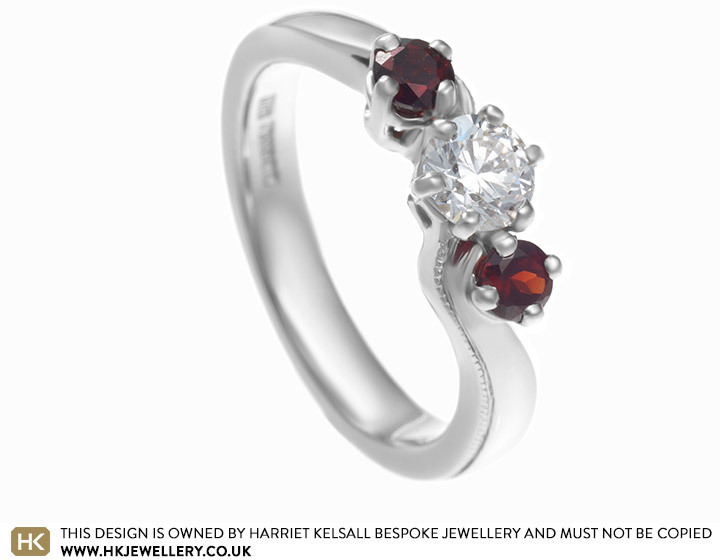 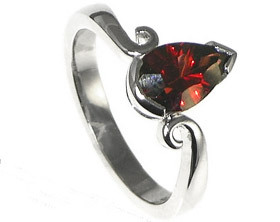 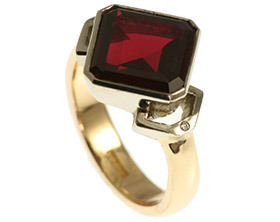 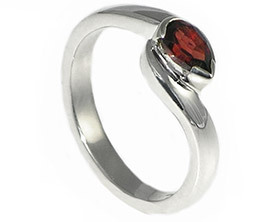 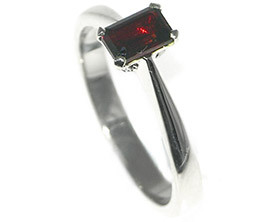 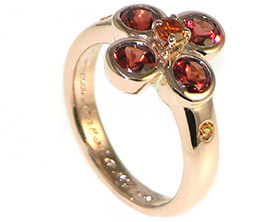 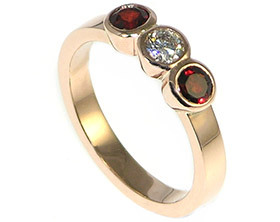 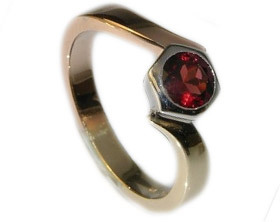 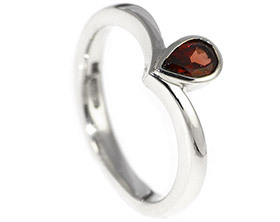 Karin knew she would like a central diamond and she loves the colour red, so we have designed her engagement ring with two 3mm brilliant cut red garnets. 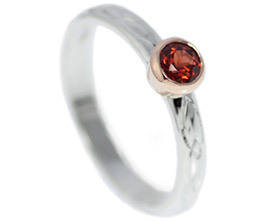 The central 4.2mm 0.31ct brilliant cut HSI diamond have been set into six claws, and the two garnets have been set into four claw settings. 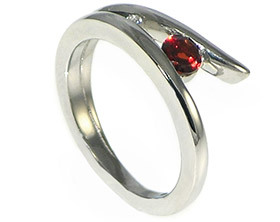 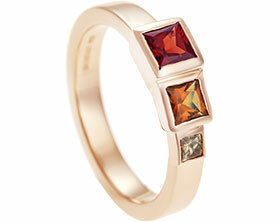 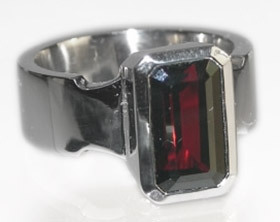 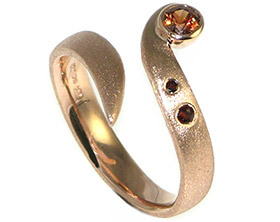 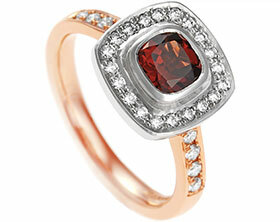 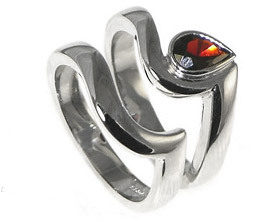 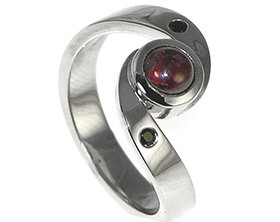 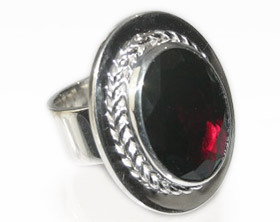 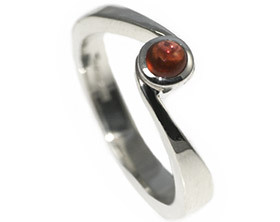 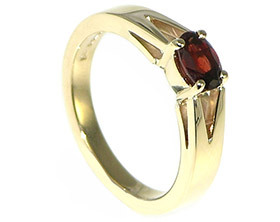 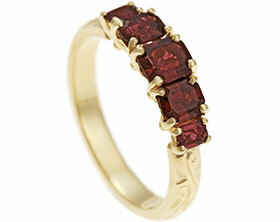 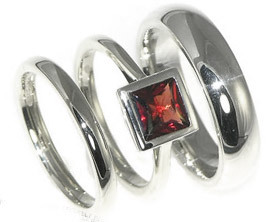 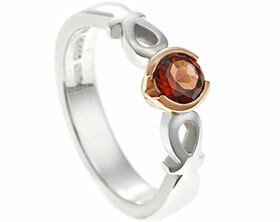 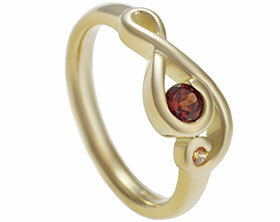 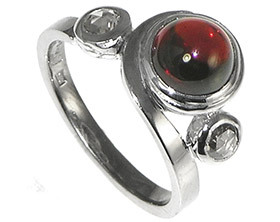 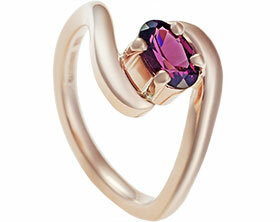 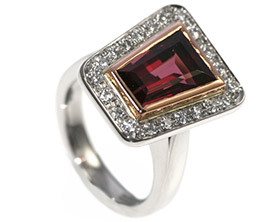 The 3mm wide tapering band tapers towards the stones and twists around the garnets. 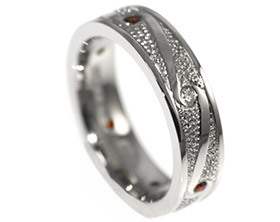 For some more sparkle, we have added some millgrain detail around the twists and a polished finish.